Janitorial Services, House Cleaning, Window Cleaning & More! We offer the finest janitorial services at affordable rates for our very diverse clientele. With over 20 years of experience, we have built an exceptional reputation for offer the best commercial and residential cleaning service around. Our friendly staff pays attention to the smallest of details and they are very dependable. Maid services, carpet cleaning, window washing, buffing and waxing, are just a few of the great services we offer here at MC Cleaning services. You can count on our cleaning crew to arrive on time and have the job completed in a timely manner. Contact MC Cleaning services At 925-360-6400! Here at MC Cleaning Services we are licensed and insured, and we perform background checks on all our employees for your safety as well as ours. We have a keen understanding and experience working with a variety of commercial interests which allows us to provide exceptional estimates based on our client’s needs and timeline. Our friendly crew is willing to answer any questions and concerns that you may have. Don't miss out on this exclusive online offer to earn cash back when you choose Avondale Auto Glass for your windshield servicing needs. 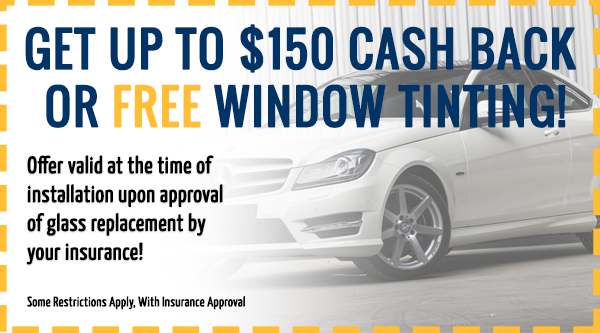 Give us a call today at (623) 337-3352 to to see if you qualify for $150 Cash Back or a FREE Window Tinting! Its' SO hard to find a good house cleaning company and I finally did ! Windows and Blinds have never looked better. Deep cleaning in the kitchen, better then anyone has ever done before. Appliances in the kitchen - streak free cleaning, which is a huge deal for me. Floors - SO clean..............Needless to say I'm happy with their service and will definitely be using them regularly. MC Cleaning is truly reliable and honest. They always leave our house spot clean. We always see familiar faces which is key to build our trust. I've used multiple cleaning services in the past where they send different individuals in every visit. I admire Mike and Ana's excellent customer service. I highly recommend MC Cleaning Services. Mike and Ana have been long time cleaners of ours. Very professional and thorough each time. I have recommended them to our friends and won't hesitate to further recommend them if they didn't already have cleaners of their own. © 2018 MC Cleaning Services & Instabuild. All rights reserved.